The Balmoral is Phoenix's long standing traditional bathroom suite. 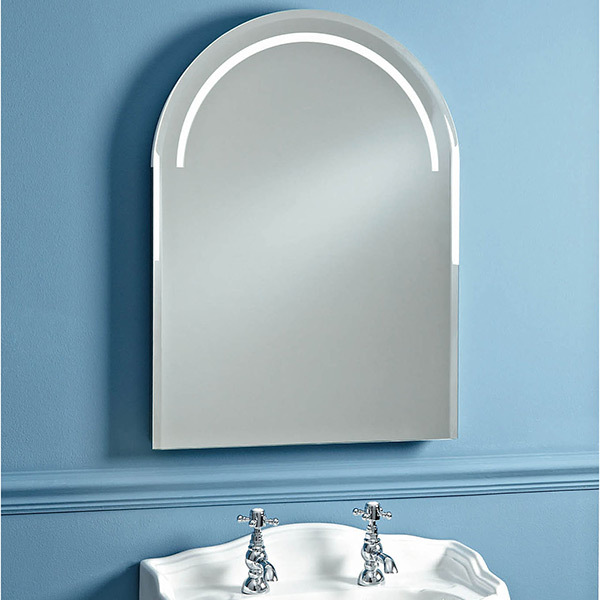 This has now been extended with the introduction of the Balmoral arched mirror. The arched design complements the shape of the WC and basin bowl within the range. The lighting strip runs around the perimeter firing light naturally around the shape of your face. Measuring 75cm high and 55cm wide this is a large enough space for carrying out all manner of grooming jobs. A shaver socket is also fitted for convenience. The light turns on without touching via a motion sensor so wet hands never have to touch the product. The surface is always crystal clear thanks to a built in heated demister pad. Don't worry about the electricity bills either as this product is A+ energy rated. Perfectly matches the Phoenix Balmoral suite as well as other traditional styles of ceramics.